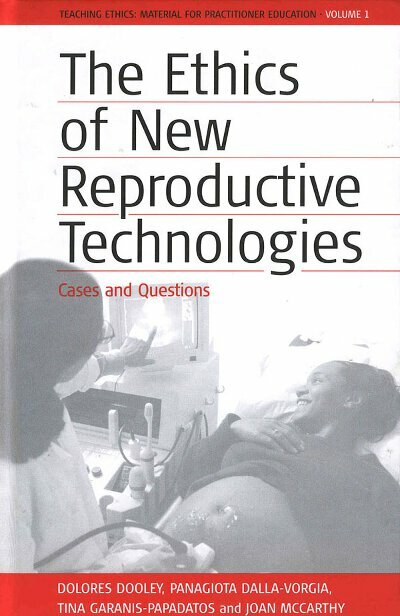 The new reproductive technologies (NRTs) have given rise to new ethical questions that are widely debated. This book, the outcome of a European Union-wide collaborative process, draws on the experience and expertise of ethicists, lawyers, and clinical practitioners and focuses on some of the "burning issues" in different European countries. These include: donor insemination; surrogacy; preimplantation genetic diagnosis; embryo research; access to IVF treatment; and parental, professional and social responsibility. Familiar notions such as quality of life, parenthood, mothering, responsibility and personal identity surface at many points throughout the book and are refashioned to accommodate new questions. This book introduces and probes ethical questions and challenges in a hands-on way by working through relevant case studies with key commentaries and activities. It engages the reader directly in ethical reasoning and decision-making and provides clear explanations, insightful commentaries and informed debate on NRTs. Dolores Dooley is Senior Lecturer in the Philosophy Department at the National University of Ireland at Cork. Panagiota Dalla-Vorgia(†) was, until her recent death, Assistant Professor in the Department of Hygiene and Epidemiology at the University of Athens Medical School and a Member of the Bioethics Committee of the council of Europe since 1984. Tina Garanis-Papadatos is a Lawyer, specializing in Medical Law and Ethics. She has participated in many European Bioethics projects and many national and international committees. Joan McCarthy teaches Nursing and Health Care Ethics in the Department of Philosophy, National University of Ireland, Cork.